This article is about the currency. 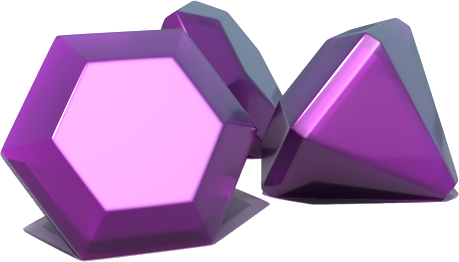 For other uses, see Gem (disambiguation). 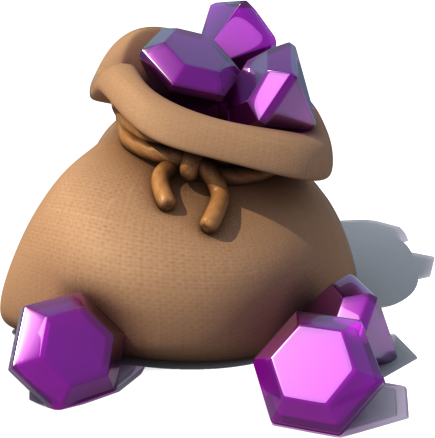 Gems are the in-game premium currency. They are purchased or earned and can be used in various ways. 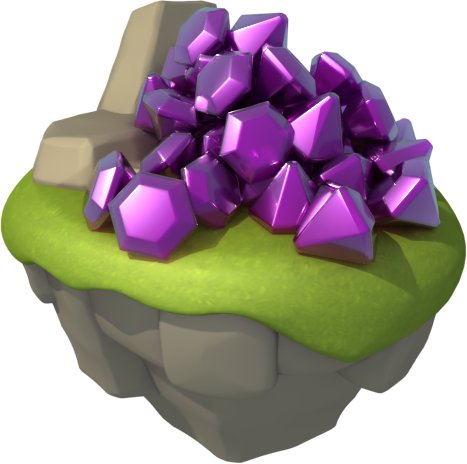 In addition to the above methods, Gems can also be obtained in exchange for real currency by pressing the button at the top of the screen. 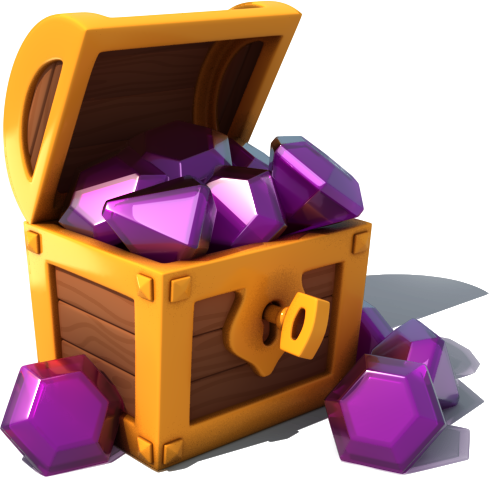 As Gems have a multitude of purposes, the option to purchase them will be shown in most places in the game including, but not limited to, battles or various selection screens or windows. In the purchase selection screen, players can choose to buy any of the six available Gem bundles. Some packs are presented as Best Deal! or Recommended! by the game. In case a bundle is on discount, the percentage of the discount is shown next to the pack and the time left until said discount is no longer available is shown under the pack. In most cases, discounted bundles can only be purchased in a limited amount which is shown atop the pack. 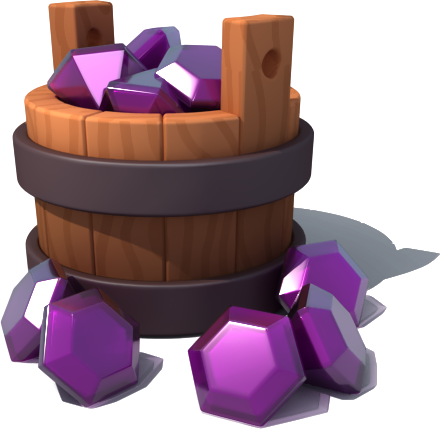 Whenever there is a limited-time promotion, the sign will be shown both on the Gems bar at the top of the screen. 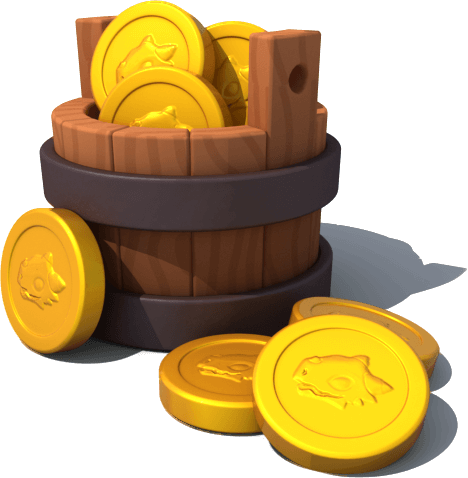 Aside from the various packs, there is also the option to subscribe to the Clam and, if available for that day, the option to watch videos in exchange for spinning Otto's Lotto wheel. Pressing the option in the snapshot of the Clam, will bring up a video with the description of the Clam and its offer. 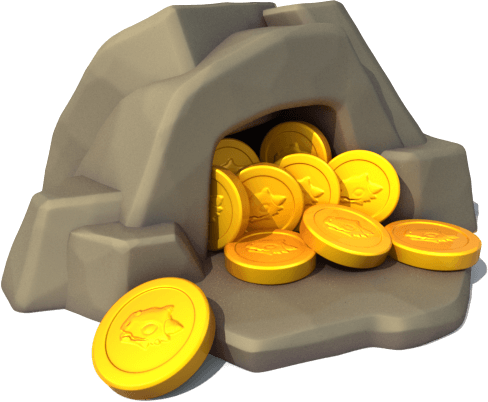 Pressing the in the snapshot of the wheel, will take the player to Otto's Lotto to watch videos for prizes. 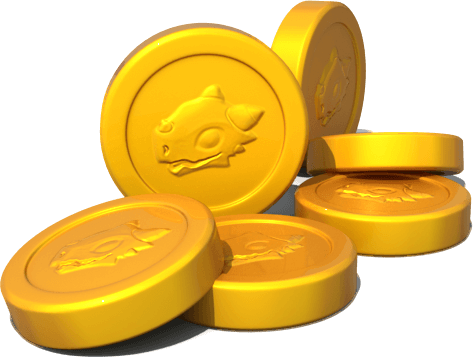 Additionally, if the player has never purchased anything from the game via real currency, the notice will be shown on this screen. 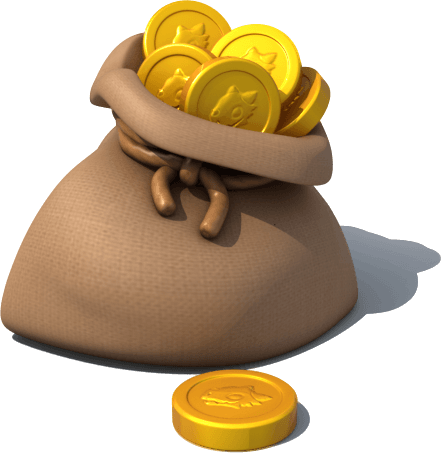 Gems is the only currency that counts toward the VIP level of the player and any purchase of Gems, be it directly or indirectly (as part of various promotions), is added to the VIP level. 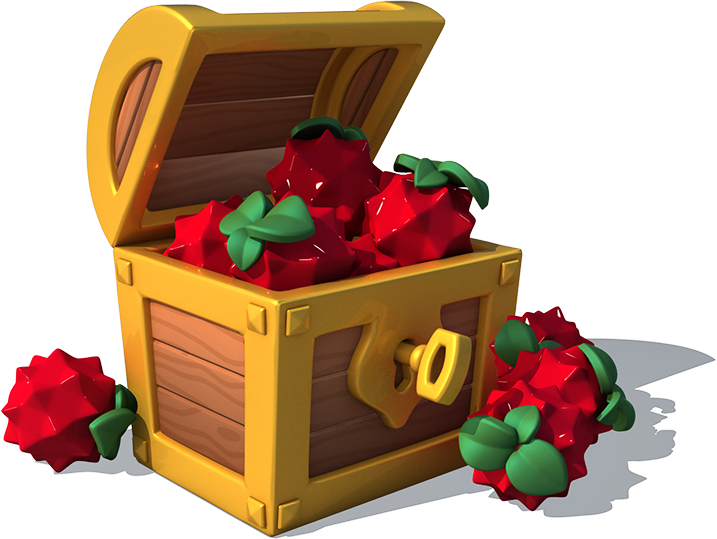 In the bottom-left corner of this screen, the icon is shown, indicating the player's VIP level inside, and next to it the total amount of Gems the player purchased separated by a / from the total amount of Gems needed to reach the next VIP level. Pressing the button will take the player to the VIP interface. The amounts below apply to the majority of users. In some cases, discrepancies among some users based on their country and platform can exist. Additionally, values can change depending on various promotions and sales. 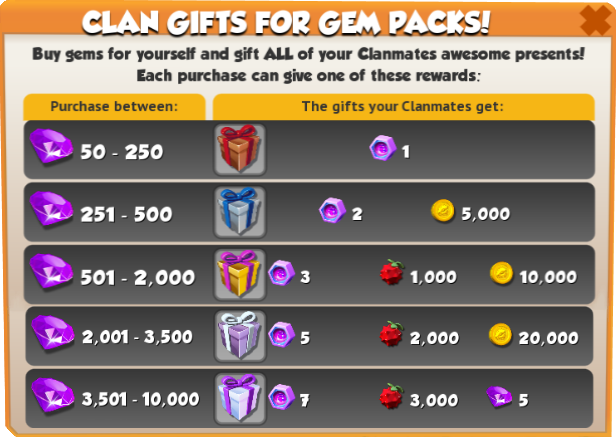 During Gift Giver promotions, whenever a Clan member purchases 50 or more Gems, all of their Clanmates will be awarded gifts. 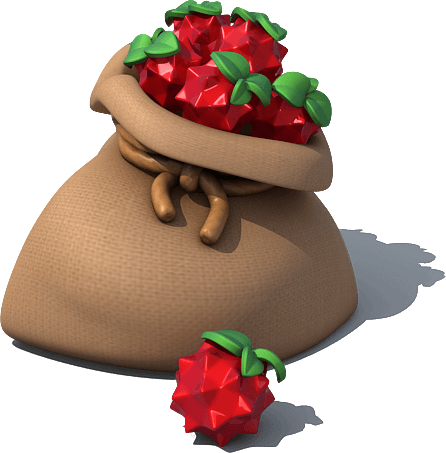 The type of gifts and amount of each that will be awarded will depend on the number of Gems purchased. 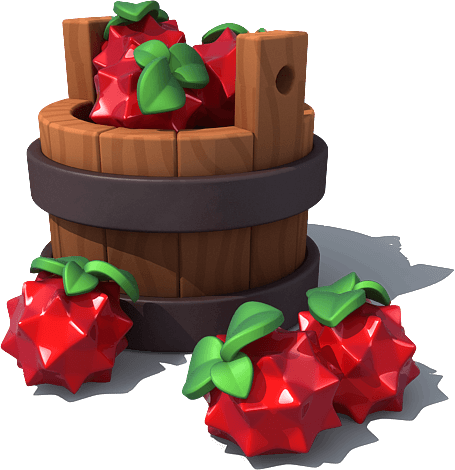 The player can choose to hide their name from being seen by the other Clan members when they receive their gifts. Purchasing Boss Habitats 50 The only building that can be purchased through Gems. ↑ To speed up any amount of time, the option has to be pressed after selecting what is to be sped up. 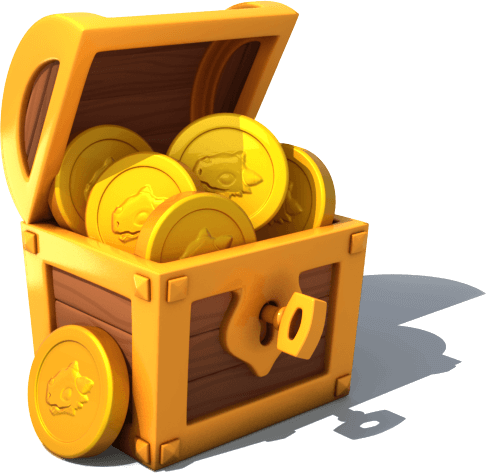 A confirmation window will pop up and pressing the button will confirm the choice, provided the player has enough Gems to pay the cost. ↑ There are two factors that influence the cost of speeding up timers, namely the duration and the feature. For example, the same amount of time for health regeneration in the Enchantment League and the same amount for breeding breeding does not have the same cost. 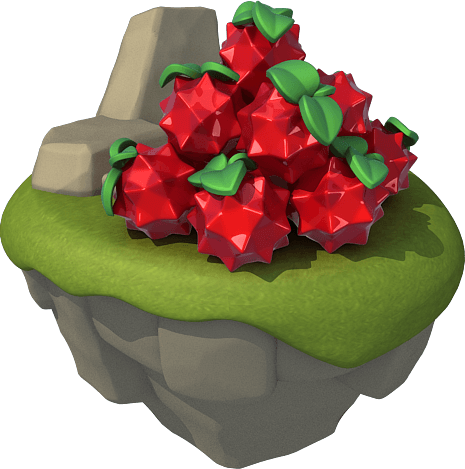 The cost to speed up the hatching time of the Water Dragon (5 minutes): (300 ^ -0.44) * 0.15 * 300 = 3,6 - rounding by 1 applies, thus the cost to skip the timer is 4 Gems. The cost to speed up upgrading a Dragon's skill to Level 2 at the Academy (3 hours): (10800 ^ -0.44) * 0.15 * 10800 = 27,2 - rounding by 5 applies, thus the cost to skip the timer is 30 Gems. The cost to speed up the breeding time of a Legendary Dragon (2 days): (172800 ^ -0.44) * 0.15 * 172800 = 128 - rounding by 25 applies, thus the cost to skip the timer is 125 Gems. 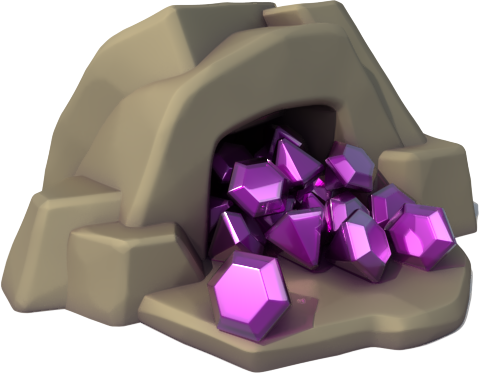 The cost to speed up the hatching time of a Divine Dragon (4 days and 19 hours): (415200 ^ -0.44) * 0.15 * 415200 = 210 - rounding by 50 applies, thus the cost to skip the timer is 250 Gems. 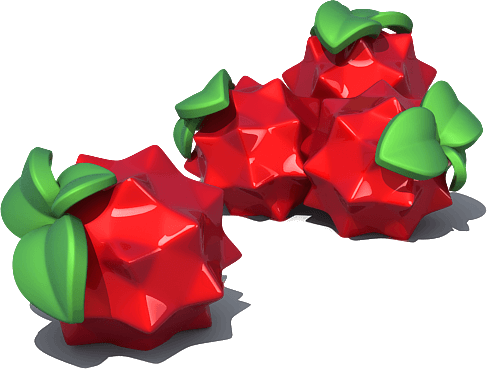 The cost to speed up the waiting time in the first challenge of the Greek Boss Challenge (4 hours): (14400 ^ -0.5) * 0.1 * 14400 = 12 - rounding by 5 applies, thus the cost to skip the timer is 15 Gems. 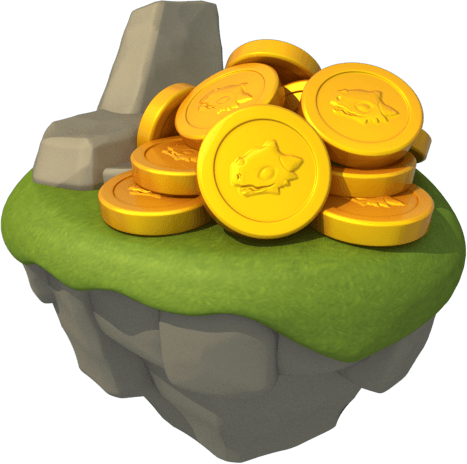 The cost to speed up the post-battle health regeneration of a Dragon with 0% health (2 hours and 30 minutes): (9000 ^ -0.46) * 0.12 * 9000 = 16 - rounding by 5 applies, thus the cost to skip the timer is 20 Gems. 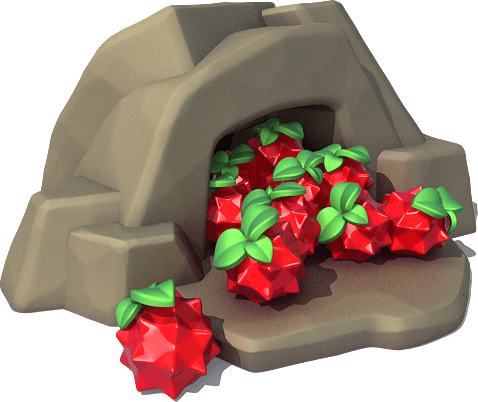 Gems can also be used to purchase either Food or Gold instantly. The amounts below apply to the majority of users with a level above 59 as they depend on the Level Modifier. In some cases, discrepancies among some users based on their country and platform can exist. Additionally, values can change depending on various promotions and sales.